Here's some additional outerwear for your seasons game! 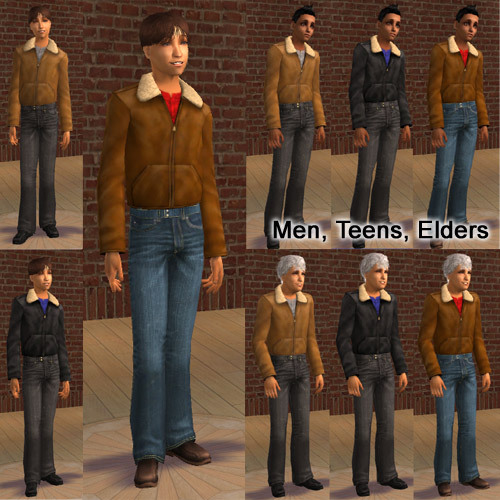 My teen and her friends have been wearing jackets like this, and I thought it would be fun to have in our games for all ages. I made 7 meshes and an assortment of recolors for you. 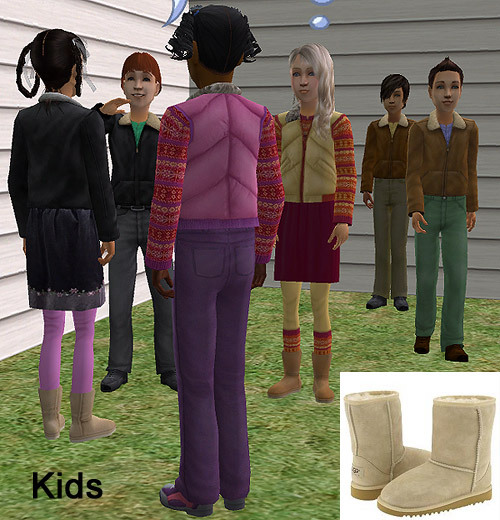 The women are all wearing ugg-style boots. 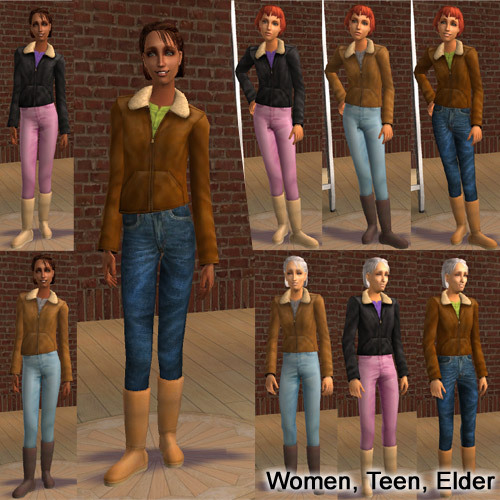 * Adult, elder and young adult all share the same recolor and mesh. (this means less saggy/frail elders), and there's 3 colors for each. * Teens have 3 outfits that match the adults. 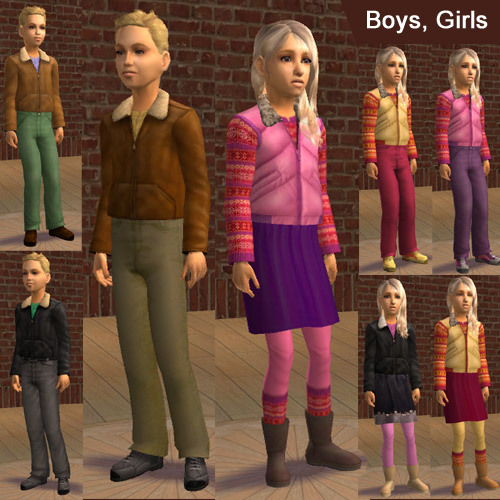 * Boys and toddler boys have 3 outfits each. * Girls have 5 outfits; 2 with pants, 3 with a skirt and boots. 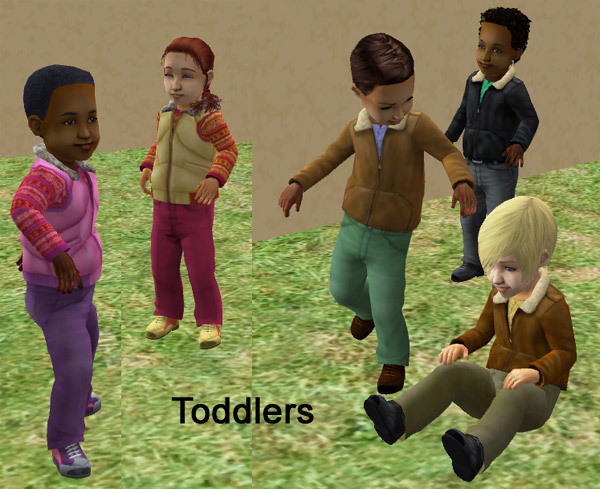 * Toddler girls have two colorful vest/sweater outfits. I also have other jackets for toddlers, kids, and teens, check my profile. Recolor as you wish (on free sites) see readme for details. 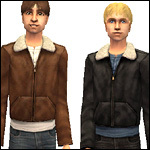 The bomber jackets, pants, shoes and boots are based on Maxis textures, feel free to use if you want. Do not use the textures from my girl's vests, skirts, sweaters. Made with Unimesh, thank you Wes! Thank you HP, Delphy, and the rest of the staff and members who make mts2 a great place to be. 1576 people have said thanks to tiggerypum for this download.